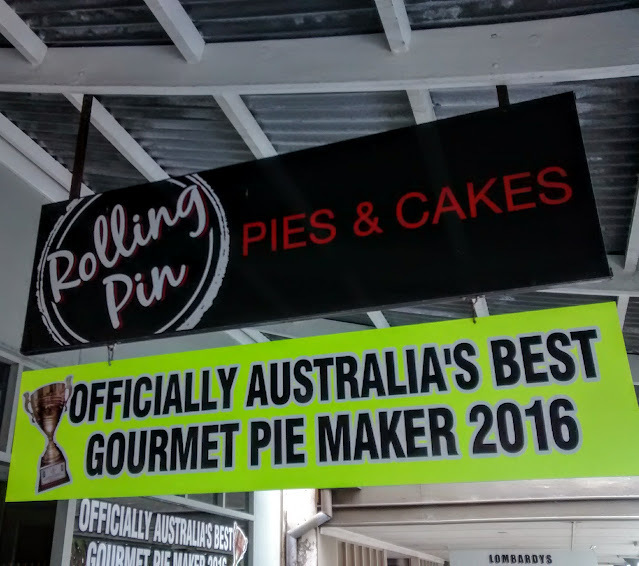 The Rolling Pin Pies and Cakes cafe in Queenscliff is proud of it's award winning achievements! 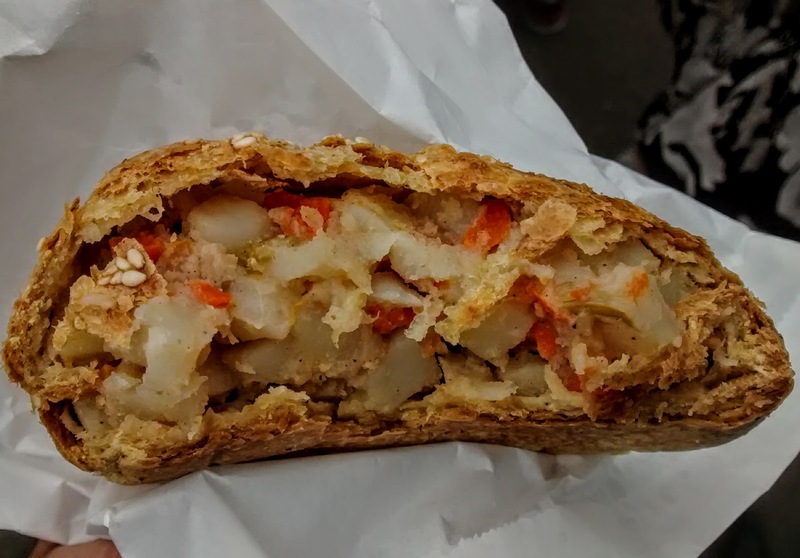 The Wholemeal Vegetarian Pastie, has apparently twice been judged "Australia’s Best Vegetarian Pastie". The wholemeal pastry shell encased the tasty combination of veggies which hit the firmness and moisture sweet spots. 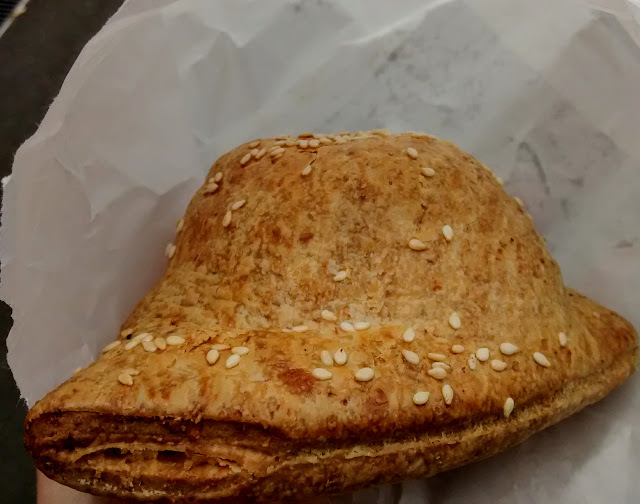 They clearly know how to make pies and live up to their prizes!